On our farm on the western edge of the Ozarks, we have several magnificent black walnut trees. This is one of the native Arkansas plants I missed when in lived in Washington State. I came home to visit one fall around this time and actually carried a few of the freshly fallen nuts home with me on the plane. Other people may curse the black walnut trees in their yards because other plants have a particularly hard time growing in their shade. Black walnut trees practice chemical warfare by producing substances that inhibit the growth of many other plants so they can maintain their dominance. This attribute of black walnut gives us insight into the role this tree can play in our health. Just as the black walnut trees fight off other plants, the black walnut hulls are used to help reduce the growth of pathogenic organisms, especially in the gastrointestinal tract. While black walnut hulls may be best known as part of an “anti-parasitic” formula, it may actually be better as an antifungal agent. It can also be applied topically to the skin. Black walnut hulls can have a fairly strong laxative effect on the gut, and in larger doses, can induce vomiting. 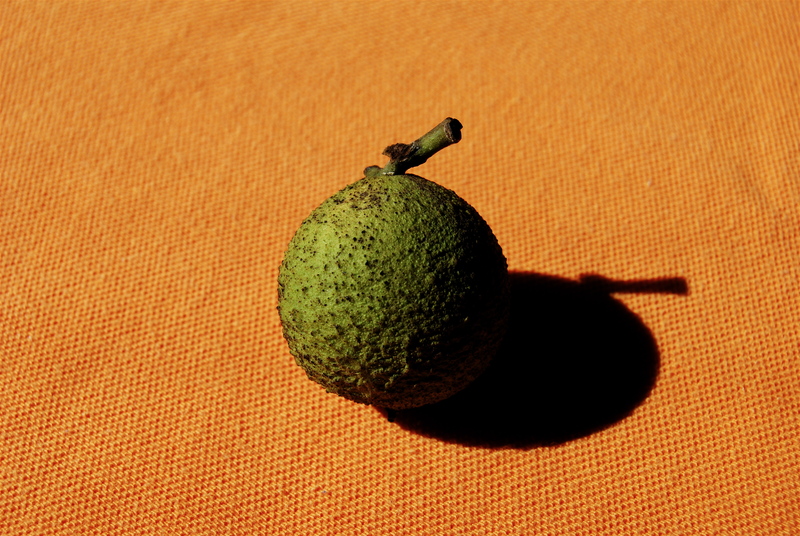 The green outer hull of the nut is the part of the black walnut that is used by most herbalists. The green hulls can either be used fresh or made into a tincture. If you want to work with the hulls yourself, consider using gloves because they can stain your hands. It is also worth going through the effort of cracking the very tough shell to get to the nuts. These have a very distinct flavor, but can be used like any other nut. When it comes to using the hulls, be cautious. This is a very strong herb that should only be used short term or under the supervision of a medical profession. This entry was posted in Health and tagged antifungal, black walnut, black walnut trees, herbal medicine, laxative, nature, parasites, plants. Bookmark the permalink. Yes, I didn’t even talk about the nuts from the black walnut. There are a rare treat for many, but an “acquired taste” for others. If you have never tried them you should seek them out at some point.